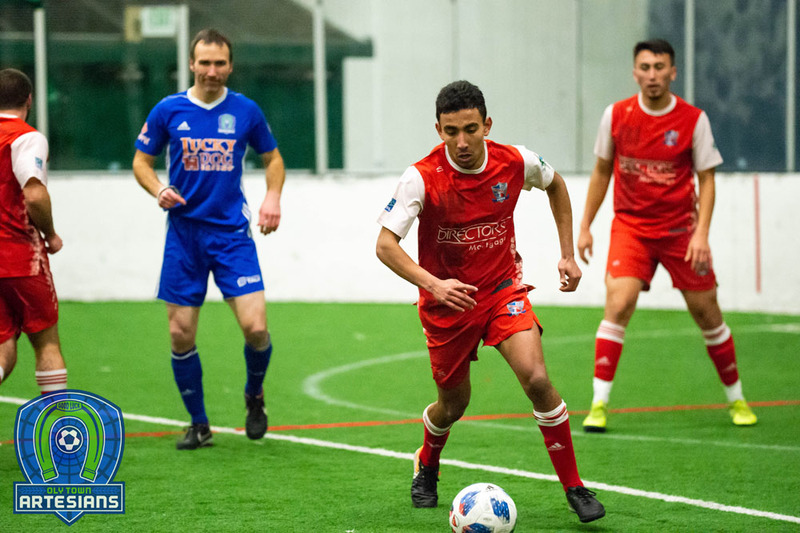 TUMWATER, Wash. – Greg Wolfe and Issa Hassan each recorded hat tricks for the Oly Town Artesians but William Ramirez, who has played one Western Indoor Soccer League game for Oly Town this season, scored five goals to lead the Oly Indoor All-Stars to a 11-9 win in a non-league friendly at Olympia Indoor Soccer on Saturday night. Despite the week off from WISL play and the non-league loss, the Artesians qualified for the playoffs thanks to Bellingham United’s 7-4 win over the Arlington Aviators. 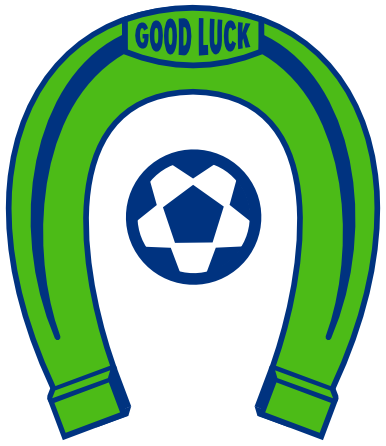 Oly Town will travel to Tacoma for a rematch with the undefeated Stars in the first round of the WISL playoffs on Saturday, February 7th. JC Henson and Tom Kemennu joined Wolfe and Hassan on the Artesians’ scoresheet and Clint Lothrop made 28 saves in goal. 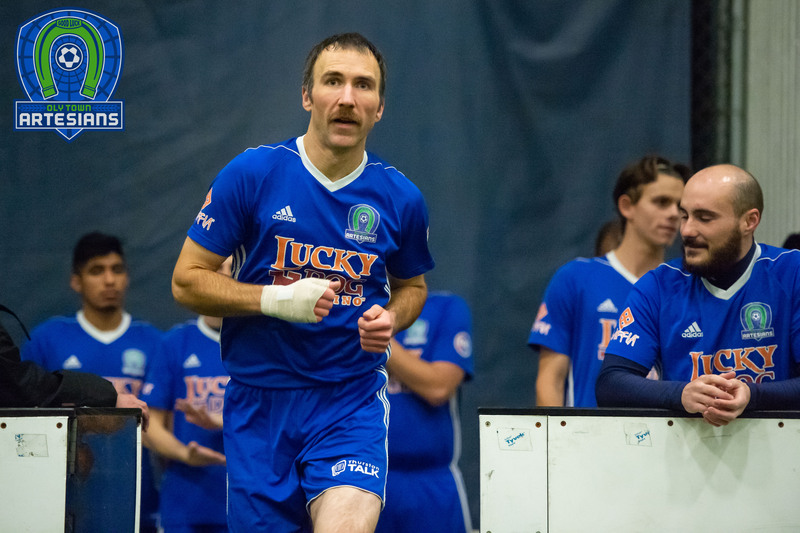 JT Meyer scored twice for the All-Stars – a team comprised of rostered Artesians, former Tumwater Pioneers, and outstanding drop-in and league players at Oly Indoor. Austin Kelley, Juan Perez and current Oly Town players Mike Rancipher and Seb Lyons also scored for the All-Stars. JJ Olson allowed seven goals between the pipes to pick up the win. 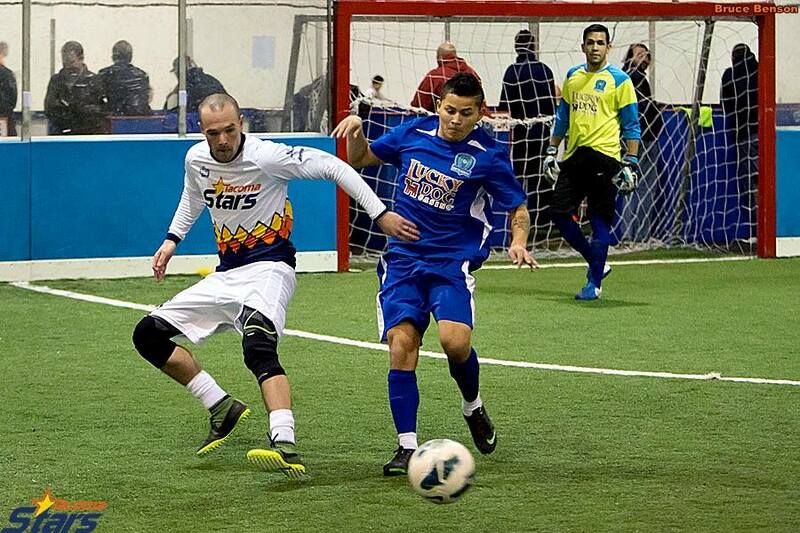 The Artesians play their home finale on Saturday, January 31st against the Arlington Aviators. 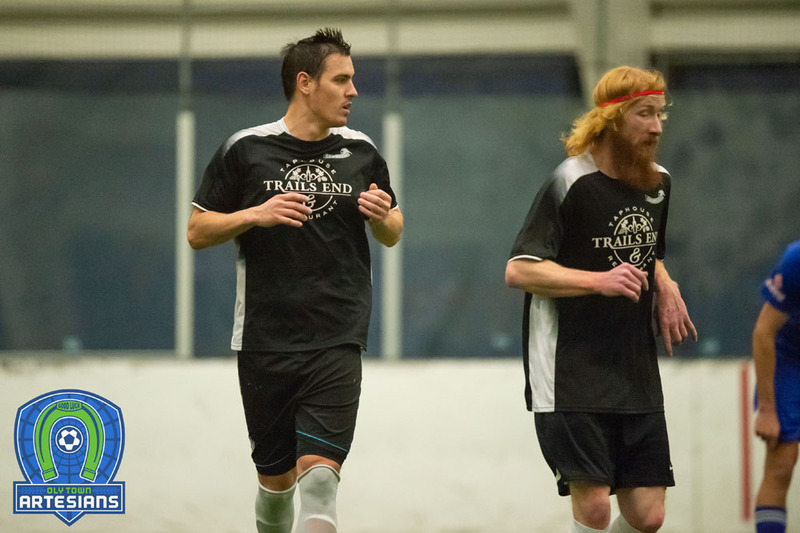 First kick at Olympia Indoor Soccer is scheduled for 6:00 PM, doors open at 5:00. For more information visit http://www.olytownfc.com.